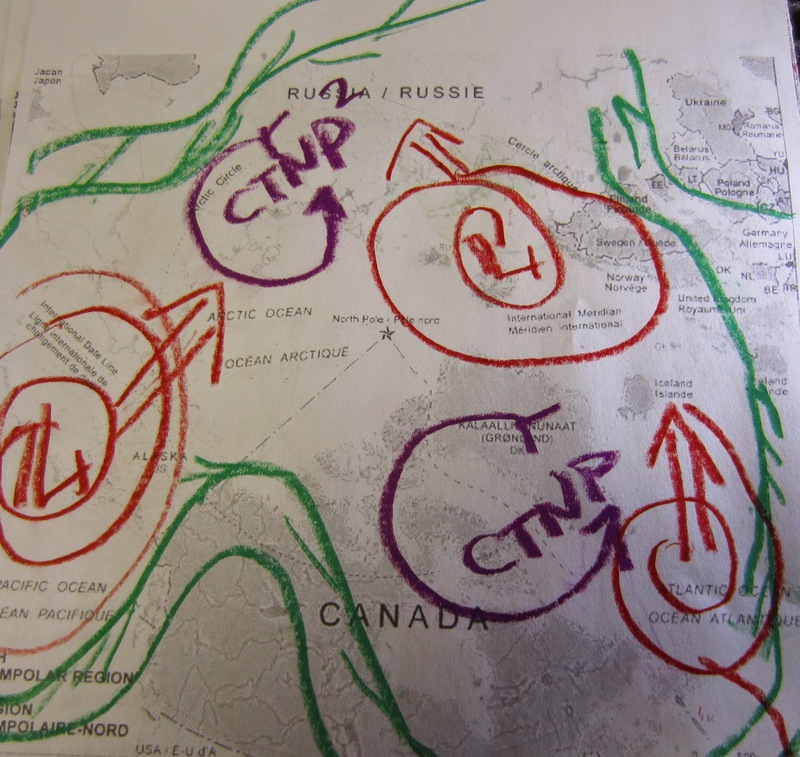 Usually the CTNP migrates, fractures, is bounced around like a top, but this year it remained near North of Hudson Bay and Hudson Strait area. South Baffin Island Canada was very cold this winter, but Alaska very much opposite. 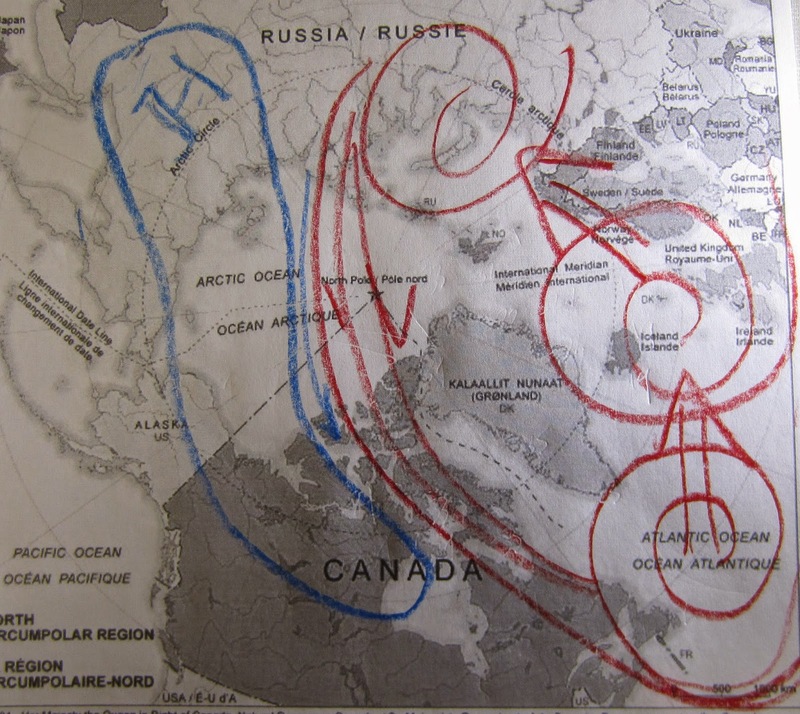 The jet stream remained almost fixed in location, this guaranties the RRR to stay literally in place, for as long as the CTNP doesn't move, so does the jet stream. In green the jet stream largely placed by the thinner atmosphere either by extreme cold air or by strong very low in pressure cyclones. 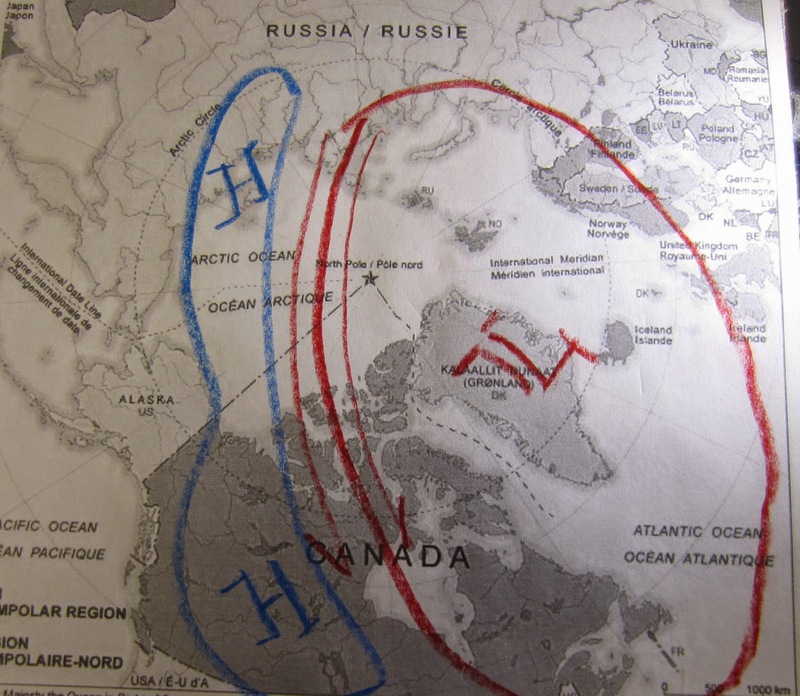 Cyclones in Red dominate the North Atlantic and Pacific. 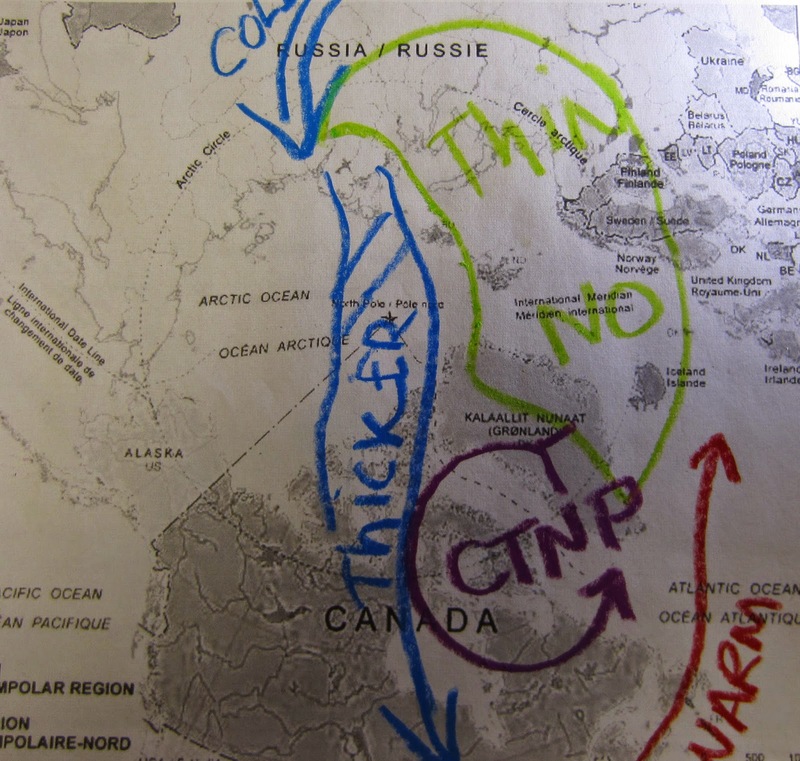 Whether they head North or not influences the Northern Hemisphere weather world wide. ~Vanishing twilight days data still very compelling. on feb 12 went through a much smaller Upper Air dT/dZ rate (difference in temperature/altitude depth) than some preceding events. Dec 25 santa storm brightness versus February 12 low dT/dZ sunray transect. The higher energy event on Dec 25 was literally more visible. Watch closely the biggest drop in recent sea ice extent was preceded by the "santa storm" a literal heat laden from the South Atlantic cyclone which headed almost strait to the North Pole , eventually it merged with other Gulf Stream cyclones and covered a huge extent of the circumpolar world, forming a true sub vortex.